The enforcement of foreign judgments is the recognition and enforcement of judgments rendered in a foreign jurisdiction. This can mean other countries or simply another state. Once a a creditor is awarded a foreign judgment, they can then seek its enforcement. The judgment creditor then has all the access to all the enforcement remedies such as wage garnishment and judicial sale. These types of judgments can be difficult for an individual to collect on due to the complexity of the laws regarding foreign judgments. Depending on the country or state, the laws can differ. It to this point that you will need to seek out a third party agency to collect and carry out enforcements of judgment. A debt collections agency has access to all types of lawyers and enforcement professionals that can collect your foreign judgment. 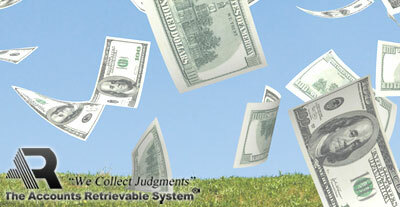 Accounts Retrievable is a national judgment network that can bring about quick and effective results when collecting foreign judgments.